We would like to provide all of our CT Lash Professionals with the opportunity to grow their business even further, as we understand how hard it can be to step out of your comfort zone to show the world what capacities you possess. An important factor of creating a successful business is the use of the right marketing techniques. This comprises the optimization of your website, creating social media channels through which clients can engage with you and visibility of your services within your salon. The world has strongly changed over the past few years and in this ever globalizing environment of information sharing it is very important to make your business stand out. During our marketing training we will provide you with key information on how to deploy different strategies to reach the growth you are looking for. Both Caroline and Tirza have been working in the beauty branch for some years where they were occupying positions as Commerical Manager and International Sales Manager respectively. From this experience they have gained profound knowledge about consumer behavior, sales strategies and tailored beauty salon marketing. They are looking forward to sharing this knowledge with you and help you achieving your goals. Besides providing you with theoretical background, we will also start applying this information straight away by practically guiding you through the use of social media. If you don’t have your accounts set up yet we will show you how to this and help you get started. Did you already create your platforms but do you want to give your client engagement a boost? This is also possible. We have created our marketing training in such a way that it is accessible for beginners as well as for advanced professionals. 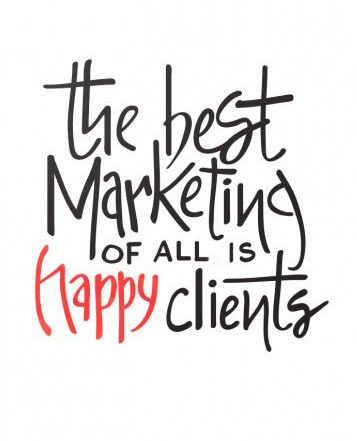 Upon request we can also design a personalized Marketing, Sales and Coaching for your salon. What does your one day Marketing training include? This syllabus contains all the theoretical information with regards to the different marketing strategies that are discussed, this way you can always review them if desired. The focus of this syllabus is mainly on the power of social media, consumer behavior and the increase of your in-salon sales.